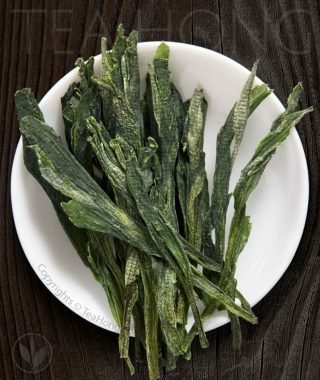 During the many re-shufflings of the leaves in the post-fermentation process, some of the most tender leaf shoots with naturally higher percentage of pectin stick together, forming these small nuggets. 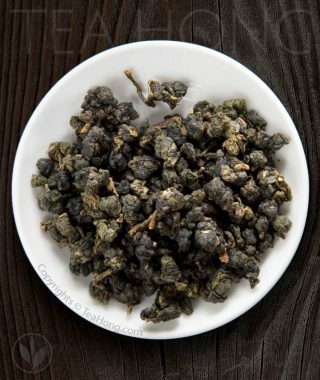 Since they have the highest concentration of vitality substances but less bitter ones as the youngest of the leaves, ‘cha tou’ tastes smoother, sweeter and softer. 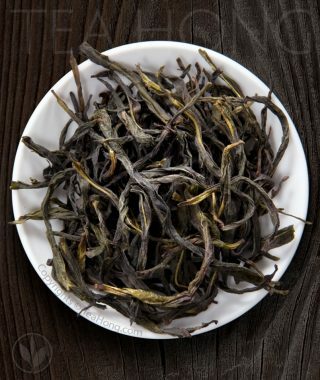 Tea Hong’s top quality Cream of Puer is made only from prime spring harvests for even better taste and health compositions. 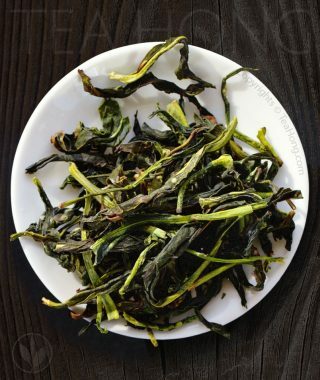 A real treat for people who enjoy shu cha pu’er. Cutting away from the main trail towards the more visited Zhongxin Yin and Lizai Ping, hidden away behind a spur, there is the quieter Wudong village Danhu. Shaded on the north of the dark rock mountain, it is cool here even at 4 pm on a summer day. The tea forests here are mostly made up of bushes 2 to 3 meters tall. Occasional 3 to 5 meter ones, each occupying a circular clearing around them, grow gloriously with their wide-spread crowns. Tiny patches of vegetables grown here and there under tea trees. 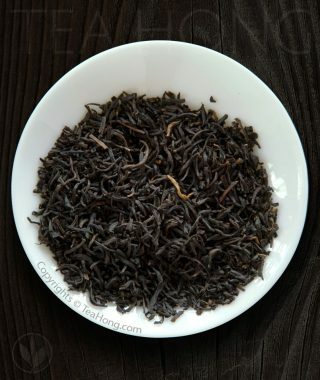 The few families here have been tea farmers since their grandfathers remembered. As to when the old bush for our Song Cultivar have been here, no one can really tell. 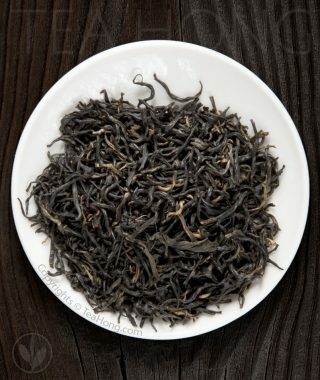 For real aficionados who would not be satisfied until they have discovered a deeper depth, a rounder fullness and a more lingering sweetness, we’d go overboard to offer the extreme. 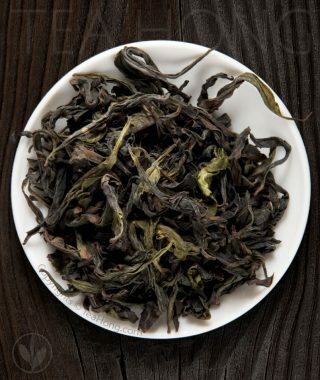 Rarest small batches of leaves from special bushes individually processed only by top masters. 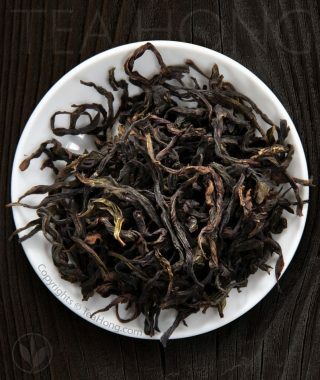 Such as this supreme quality Milan Xiang Dancong. 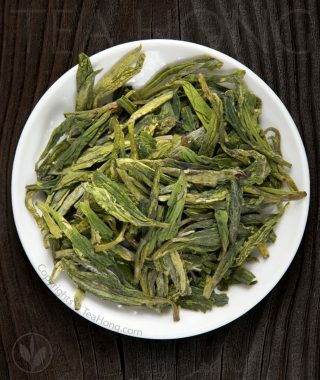 For those who demand more potential from the leaves for fulfilling their infusion skills. 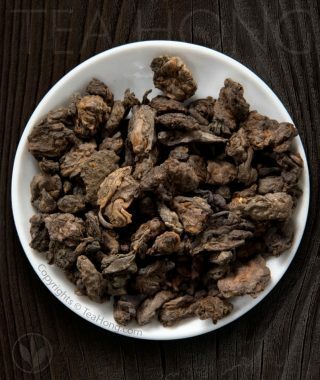 For thirsty souls seeking a moment of tranquility in the depth of the tinkling after-sweetness of Honey Orchid Supreme. Before Chaozhou Guest Hotel was privatised, this officially appointed lodging for visiting high-ranking government officials used to serve only classic style Phoenix oolongs in all of their restaurants*. 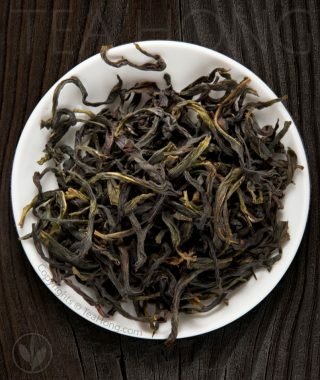 Tea Hong’s Phoenix Classic could well be the special quality in the large white porcelain teapot on the breakfast table sitting next to bamboo steamers holding finely crafted dim sums for the privileged guests. 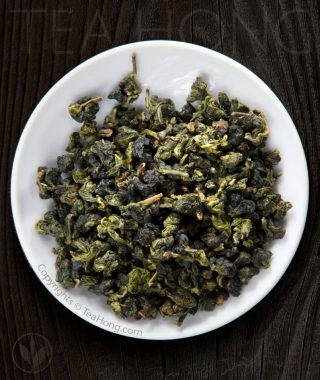 All fine and quintessential characters of the classic Phoenix oolong can be found in this tea — Sweet, fruity, and lively with notes of peach and dried longan, lychee and sweet potato. 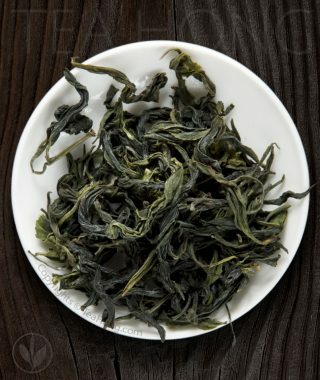 A proud heritage of Guangdong oolong. 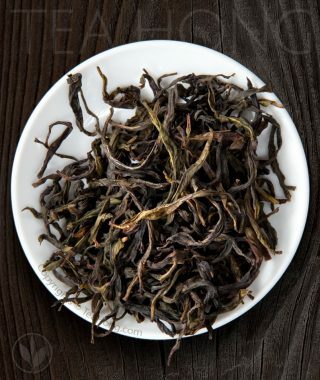 Most teas in our collections are "artisan" teas made with intense craftsmanship, but we want also to offer choices that are price competitive yet still in respectable quality. 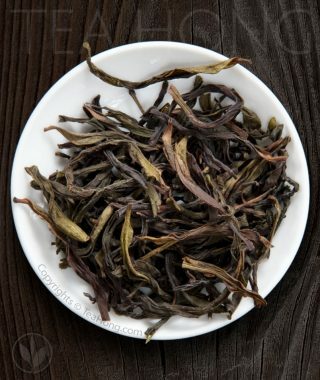 Introducing Keemun FOP, produced by a Chinese government recognised national showcase factory for classic Keemun standards. 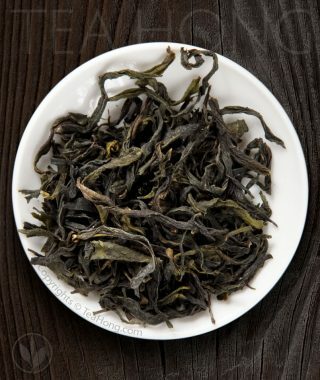 Everything at top quality level of the "Keemun" name, as known in the mass market. Great for breakfast, afternoon tea or your carrot cake party, with milk or not, like a good old fashioned flowery orange pekoe should be. 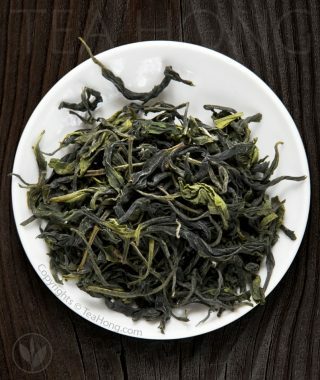 For those more demanding connoisseurs who want to enjoy the beautiful and unique appearance of Taiping Houkui, this supreme traditional quality delivers the most enjoyable taste profile of this variety. 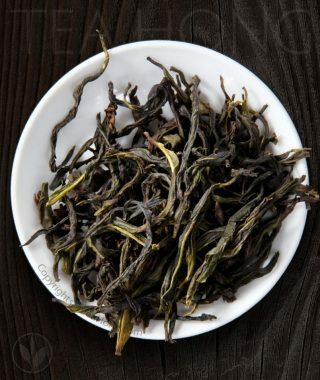 100% hand processed and formed from the best quality plucks in its origin, Taiping Houkui Traditional is made the way like it was for tribute to the royal court in dynastic China.